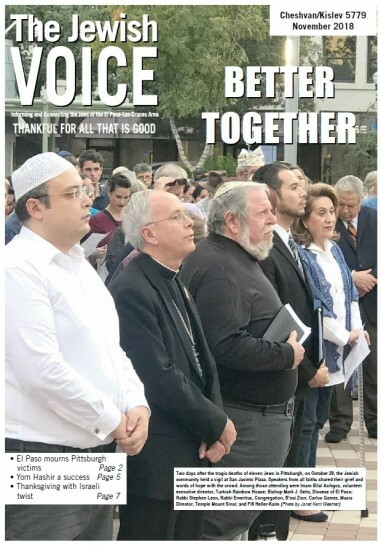 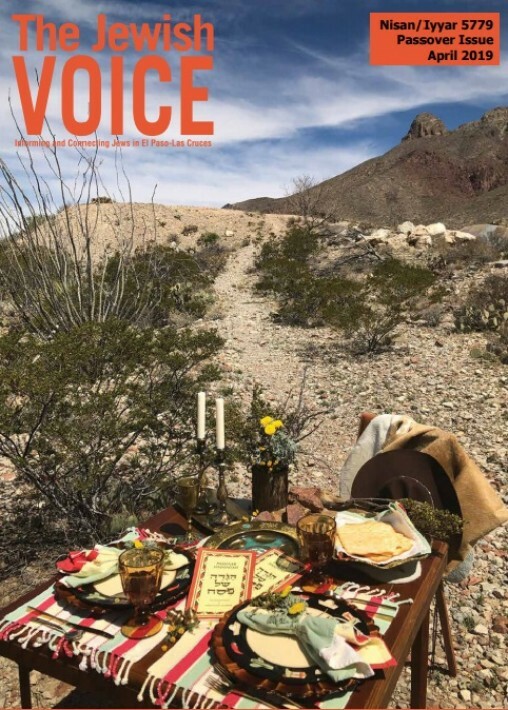 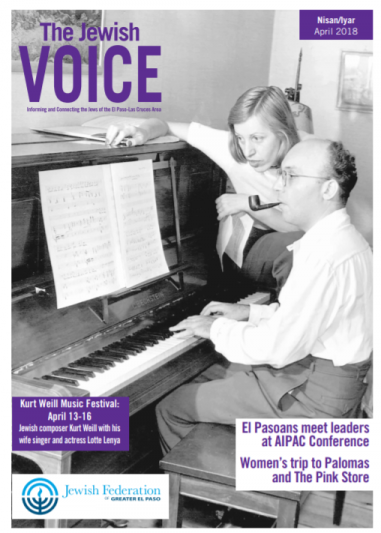 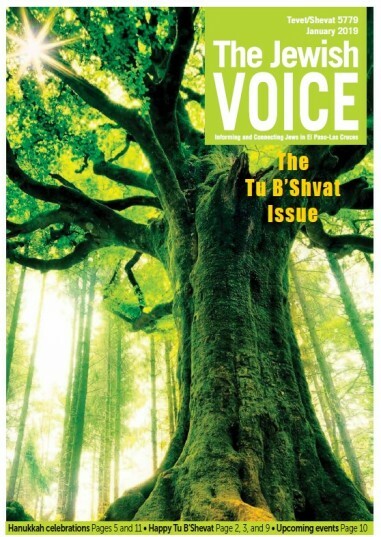 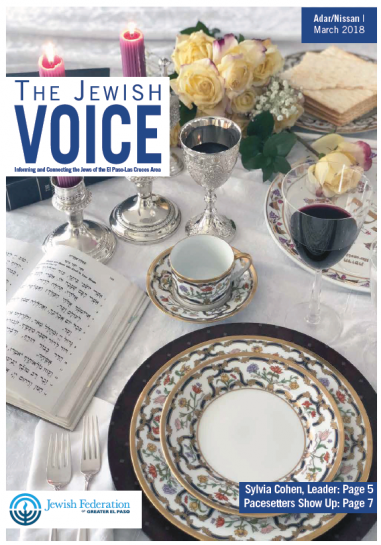 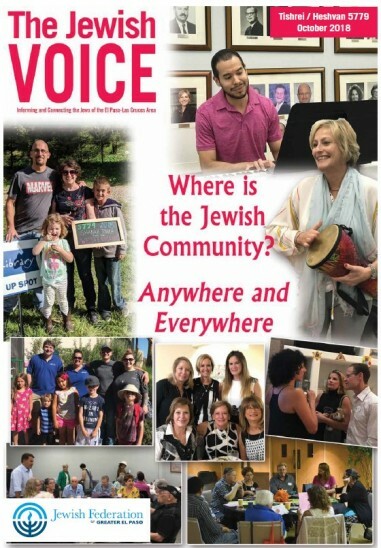 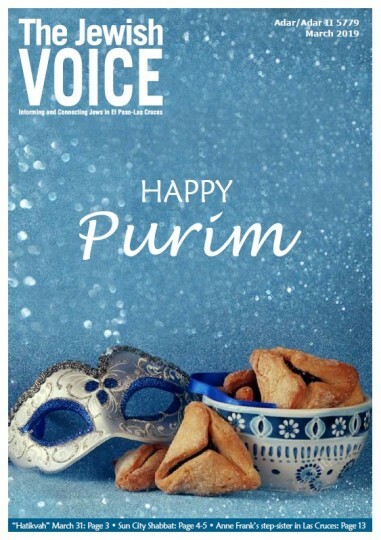 The Jewish Voice of El Paso, published ten times a year, is dedicated to informing, educating, and uniting the Jewish community by providing news items of local, national, Israeli, and international concern. 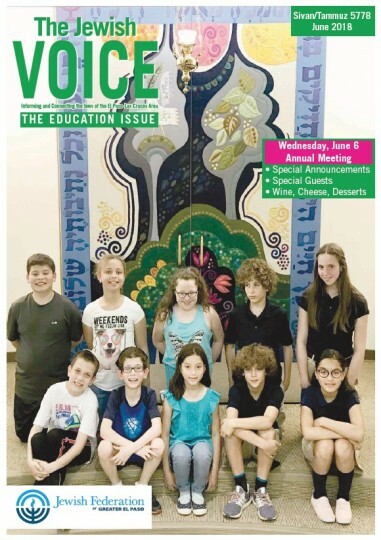 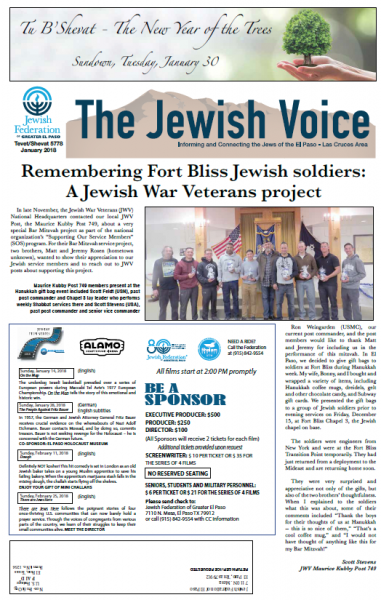 The Jewish Voice will consider for publication any materials submitted that support the mission of the Jewish Federation of Greater El Paso and have relevance and appeal to the El Paso Jewish community. 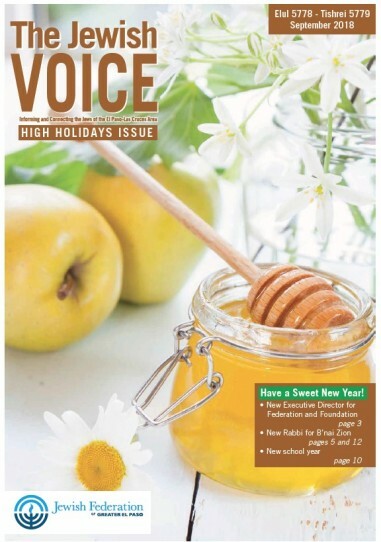 Articles are subject to editing at the editor's discretion and are subject to space limitations. 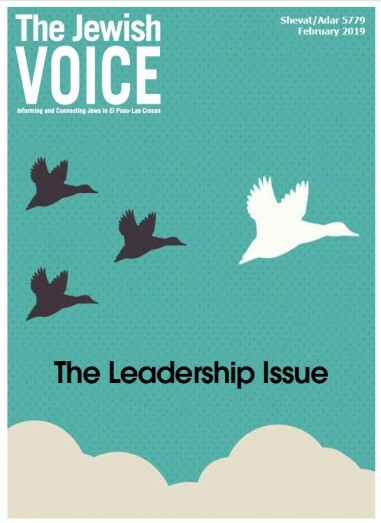 Letters cannot be longer than 150 words and articles must be kept to a maximum of 300 words. 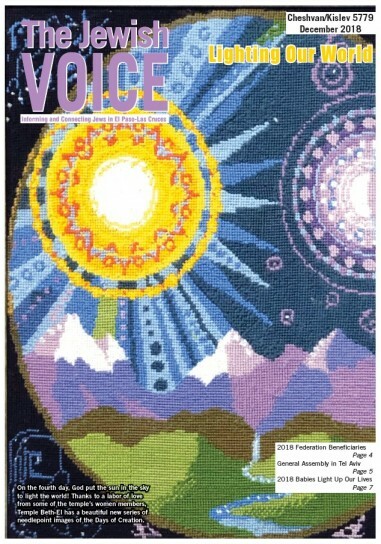 Please email to thevoice@jfedelpaso.org. 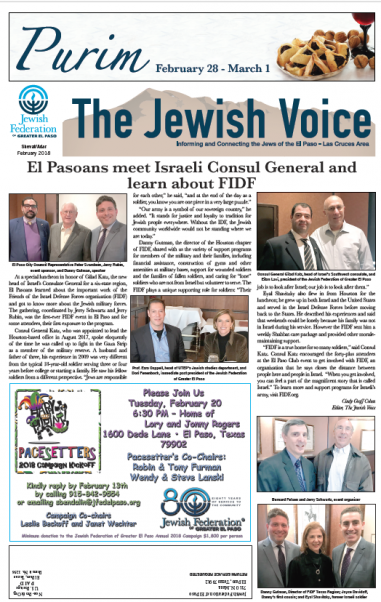 Opinions are those of individual writers and not necessarily those of the Jewish Federation of Greater El Paso. 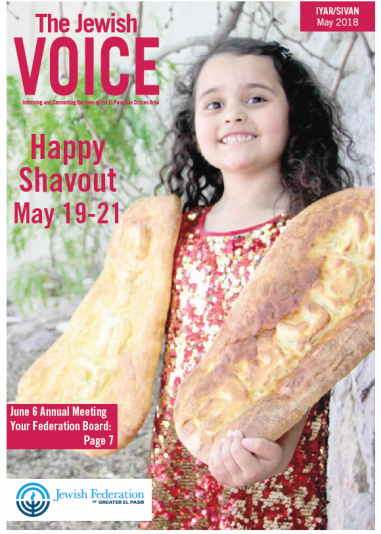 The Jewish Voice is not responsible for the kashrut of any product or eating establishment advertised herein.